I am sure you’ve heard that sometimes the truth hurts. The fact is – sometimes it doesn’t hurt at all. Sometimes the truth is easy and painless. I can give you one perfect example: The BEST first step you can take to planning your wedding is to make plans to attend a Bridal Expo Chicago/Milwaukee Luxury Event. That’s the truth. However, there are some ways to make it easier and even more painless than you could imagine. I am thrilled to pass along these tips to you so you can save time and money and have a great time. 1) Make a day of it! Don’t plan to come to a show when you are in a hurry. Make this one day very special, plan a fantastic breakfast or brunch beforehand and stay for the entire show. You will not be sorry. You will save more time visiting our vendors in that one day than driving to and from every single vendor we have at our shows. How much time and money would you like to save? 2) Plan ahead. Before attending, bring a checklist of what services you need. This will avoid confusion and save time. You won’t need to spend time shopping for vendors that you have already booked. 3) Bring your support team. Only bring those who offers you the best advice and gives you the most support. Bring those people with you to keep you on task and focused on your needs. You don’t want to bring ‘Debbie Downer’ with you and ruin an otherwise awesome event. 4) Bring contact labels. At each of our shows, you will have the eopportunity to sign up for amazing prizes and special deals from Bridal Expo and each of our vendors. It saves so much time (not to mention writer’s cramp) if you have address labesl pre-printed with your contact information. Dont forget your email address! Make sure all the information is current. 5) Bring a digital camera. Yes, we not only allow but, encourage our brides to take pictures. A picture is worth a thousand words. There will be flowers, cakes, gowns, and all kinds of other things that you will want to remember. This is the best way to document your preferences. Later you can print those pictures and place them in your wedding planner for quick referencing. 6) Leave the kids at home. If you have small children, this is the best time to cash in a favor from a good friend and ask them to watch the kids for the day. Small children will be overwhelmed by the crowds and you will want to be able to stay focused. Plus, there are no strollers allowed in the vendor area. The kids will thank you! 7) Arrive Early. This will give you time to register, and after you have visited every vendor you will be able to find a great seat for the Couture Runway Fashion show. No where else can you see this many luxurious designer bridal fashions on one stage. 8) Come for the show, stay for the prizes. At each and every Bridal Expo there are fabulous prizes given away on stage before, during and after our luxurious runway fashion show. Large prizes (fabulous getaways, diamond earrings, photogrpahy packages) and smaller prizes (countertop appliances and gift certificates). Either way, you will not win the prizes if you are not there to claim them. 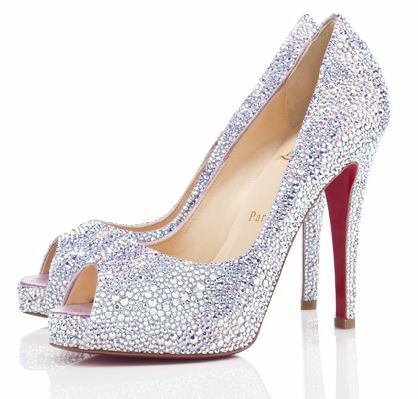 If the bride is not present when called, our Fashion Director and show commentator, Carol Tardi, will call another name. Don’t be the one that got away! 9) Be ready to save money. Many of our vendors offer booking specials. Dont be afraid to save money. If you are not ready to make a decision, ask for their information so you can contact them later. They will be happy to oblige. 10) Relax. The wedding planning process should be fun and Bridal Expo will help make it easier. Organization is the key to staying stress-free and focused. Who Doesn’t Love Cake Pops? Remember last year when I was ranting and raving about the cake-pop and how it would be the biggest thing in wedding desserts since cupcakes stole the show about three years ago? Well, turns out I was right. Not only that – this little gem has inspired many to start an entire business catering to and serving only cake pops. For those of you who missed my introduction last February to the darling of the dessert world, I would like to introduce you to the ” Cake- Pop”. For those of you who were with me while I extolled the virtues of the delightful smidgen of cake on a stick, lets re-familiarize ourselves with the cake-pop. Cake Pops were ‘invented’ in 2011 by a woman who goes by the name ‘Bakerella’. On her website you will see a very happy young woman who says she was inspired to start blogging about her baking attempts after taking a cake decorating class. I saw her website, I hope she got an A+. Maybe she didn’t invent them but she certainly is credited with bringing them into everyday conversation and to wedding sweet tables everywhere . Thank you, Bakerella. 1) Traditional cake-pops are made by crumbling an entire cake with some frosting into a bowl, smashing it into balls, inserting a popsicle or lollipop stick and dipping in hardening chocolate. 2) The newer version of the cake pop is made with a special baking pan that you fill with cake batter and cover with th accompanying lid that completes the sphere to bake a perfect circle every time. Insert stick, dip in chocolate and voila! 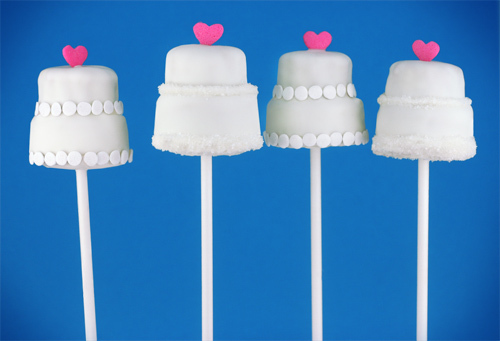 Of course cake-pops are not intended to replace the traditional wedding cake (but you could), they are adding another layer of deliciousness and pizazz to the sweet table (which they will). You can dip them in all kinds of toppings, sprinkles or have a great time decorating them. They are small and easy to work with, because they are on a stick and they are just the right shape. No mess, no fork, no plate, these little wonders will have you wondering…. what will they come up with next? It was just last year that the biggest trend on wedding sweet tables and at receptions was the cupcake. The cupcake was the hippest, hottest must-have for weddings in 2011 and I thought there couldn’t possibly be anything more fun or festive for a wedding sweet table. Guess what? I was dead wrong. I would like to introduce you to the ” Cake- Pop”. Take a good look at this sweet little gem, you are going to be seeing a lot of it. Ever since the First Lady, Michelle Obama, showed up with bangs last week , the media has gone wild! The truth is that all it it takes is something as simple as one very highly visible person to modify their appearance for a trend to slowly take hold. On the other hand, this style change was more like the “Shot Heard Around The World.” Every program, every channel was asking the burning question, “What do you think of the First Lady’s bangs?” For a brief moment, there was no debt ceiling, no fiscal cliff and no gun control ….. just bangs. In honor of Mrs. Obama, here is my salute to bangs- of all lengths and kinds! Long bangs – Defined as long bits of hair that frame the face but come to the middle of the eye …at least! Long bangs look great with layered hair . It all frames the face at the same time and is very slimming. Long Bangs look equally great with short hair. Side bangs – Any length of bangs that are swept to one side. Side bangs are great if you have a cowlick in the front of your hairline and they are soft and flattering to the face. Pixie Bangs – This is what my bangs looked like when I cut them myself as a young girl and also the last time I got my haircut and wanted to strangle the hairdresser. Really great on small faces or with short, wispy hair… not on me! Blunt Bangs are cut straight across with no feathering. Blunt bangs are difficult to wear for some and absolutely perfect on others. Bunt pixie bangs are an odd choice but, there is something for everyone. Which brings us to the most popular style, the current style worn by the first lady, the Curved Bangs. Curved bangs frame the face on the sides and look really flattering on almost everyone. They are tapered into layered or blunt cut hair. Most importantly, they are long enough to be incorporated into the hair or slicked back if necessary but, no so long that they obscure your eyesight. The right bangs will make you look and feel 10 years younger. Be careful, though and DON’T Experiment with bangs unless you have a solid 3 months to completely grow out any mistakes!! My advice: Start early if you are feeling the ‘urge to splurge’ on bangs! Destination Weddings – More Popular Than Ever!! It only takes a few days with single digit temperatures for couples to open up to the idea of a destination wedding. For many years, destination weddings have been on the rise. Usually held at tropical locations, they combine the honeymoon with the wedding itself. Guests travel to the location and can spend up to a week celebrating with the couple. There are several reasons that couples opt for a destination wedding… one of which is to save money! Believe it or not, couples who have destination weddings typically spend less overall. 1) Mexico. No surprise here. Mexico is close and entices couples with its warm, sunny weather, colorful culture, extensive coastline, spicy cuisine, and wide choice of accommodations. You will not be disappointed. 2) Jamaica. 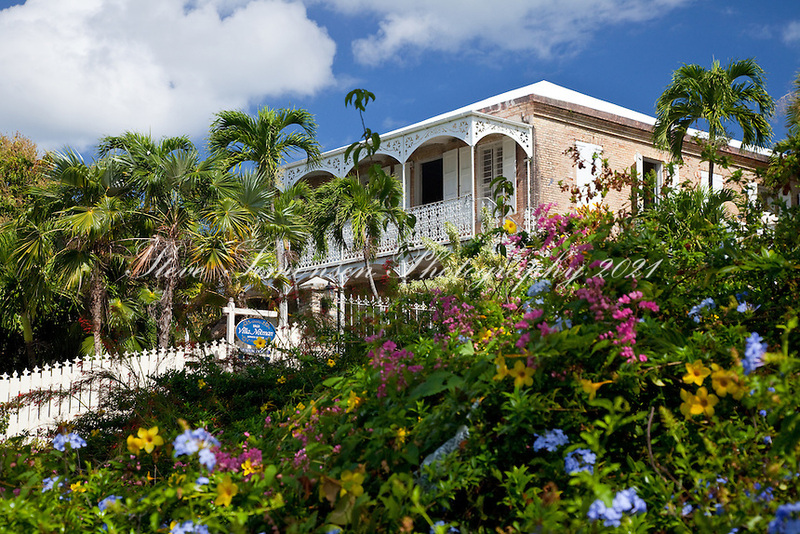 A lush island, Jamaica has beaches, waterfalls, mountains to explore. With more all-inclusives than anywhere else in the Caribbean and a reggae beat, and it’s no wonder it’s so popular! 3) Dominican Republic. With fine boutique hotels and price-competitive all-inclusives, this is a wonderful place to begin your lives together. 4) Bahamas. Just off the coast of Florida you can find everything you want whether you opt for developed Nassau, Freeport, Paradise, and Grand Bahama Island or one of the low-key Out Islands. 5) Hawaii. You don’t have to bring a passport to enjoy a tropical paradise, just ask anyone who has ever been to Hawaii. Honorable Mention goes to any of the U.S. Virgin Islands. Whether you choose St. Thomas, St. Croix or St. John, you will not have any problems except deciding which of these islands is best for you. They are all magnificent and they are all U.S. territories so there are no legal hassles. No matter which destination you choose it is important to use a reputable Destination Wedding Specialist. They will know all of the in’s, out’s and pitfalls of the particular resort you have chosen. They will also more than likely be able to get you a better deal and more extras. You can do it all by yourself but, it can be quite a bit of stress. Better to sit back, relax and stick a little umbrella in your drink! You’ve found the perfect dress and the perfect headpiece. All you need to complete your look is the perfect hairstyle. After seeing 30 years of weddings and witnessing first-hand their successes and disasters, I can tell you it is very easy to overlook this one tiny thing and regret it later. Remember, you will be photographed more times in this one day than you can imagine and you will want your hair to compliment the gown, the headpiece and your face. Keep these tips in mind when you begin to think about hairstyles so you don’t wind up with pictures you can’t bear to look at because you didn’t plan ahead. Schedule your first appointment a few months before your wedding. Be very clear about what the appointment will entail. Is this a consultation or an actual trial run? Pick a Hairdresser you trust. This is not the time to try out a new stylist – make sure you have someone who’s work you like. Take tons of photos with you. You cannot imagine how hard it is to describe a haircut. Take a ton of pictures with you so you can describe in great detail what you like and don’t like. Keep the headpiece and the gown in mind. Don’t overpower a simple gown with a giant hairdo or confuse an already busy gown with too much going on. Get a deep conditioning treatment a month or so before so your locks will be luscious. Don’t make drastic changes. One month (or God Forbid, one day )before your wedding is not the time to decide you want to go blond or cut all your hair off. You will be scrambling for a solution. There are solutions to everything but, they can be costly. Don’t be afraid to experiment with a hairstyle you like but think won’t work. There are extensions, hairpieces, lifts, all kinds of things to make your hair thicker and fuller looking. Don’t forget to take your headpiece to your hair appointment. It is vital to the overall look. Don’t be afraid to ask questions. You will never be sorry. Don’t try to look like someone else. You will, and you won’t like it. Don’t get stuck in a time warp. The big bangs and over-permed hair looked great in the 80’s. I know, I had it. 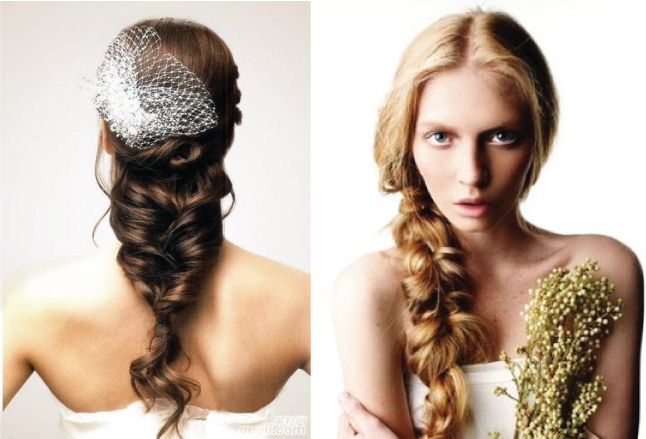 Today’s brides have a more natural and sophisticated look. Stay current! Many couples are opting for smaller, more intimate gatherings where their dollars are spent on quality vs. quantity; having a luxurious, lavish affair for 75 people rather than a cookie cutter convention for 350 people. The problem is, where do you draw the line? Make your guest ‘wish’ list and decide on the exact cut off number. This list is the closest people in your life, the people you cannot live without. Decide immediately if you will be able to allow single guests to bring a date or parents to bring their children, stick to your guns and be prepared to have to defend this decision. These are people who have been with you for your whole life, people who will be there forever and ever, not co-workers or bosses or recent neighbors. From the beginning, tell anyone who asks that you are planning a small, intimate gathering. This will prevent most from asking if they are invited. Be polite and tell them honestly, ” Jason and I have decided to have a small wedding and we will only be inviting family and our closest friends.” Of course, this means you should not be constantly talking about wedding plans to co-workers who are uninvited, save the juicy details for the maid of honor or your sibling. Remember, if you are having pre-wedding parties, they are restricted to invited guests only. Can’t invite people to a bridal shower and not invite them to a wedding, after all. Keep the wedding party small. There is no hard and fast rule for this but, if the guest total is 75, stay with one or two attendants. Kate Middleton had only one bridesmaid and her wedding was enormous, keep that in mind. The benefits of a smaller wedding are many; you can spend more money on things that really matter to you like an exclusive location, maginficent meal, extraordinary flowers, glamorous gown, extravagant shoes, elaborate invitations, A-list photographer and a sumptuous sweet table. In the end it truly is a matter of quality versus quantity. As everyone probably knows by now, December12, 2012 was the last consecutive date for 89 years, until 01/01/2101. Which makes it special and for some couples, quite lucky. According to most published reports, approximately 7,200 couples got married yesterday on December 12, 2012 which is about a 1400% increase from the exact same date last year. Couples came out in droves to have 12/12/12 as their wedding anniversary date. In Los Angeles, they were lined up as judges performed back-to-back city hall marriages for the entire day. Las Vegas was jammed with couples wanting to be a part of the 12/12/12 phenomenon and even in Chicago, wedding numbers surged with couples who hoped to be a part of something bigger than just any other day. For now, the hype is over, but, the next big lucky day according to numerologists is less than a year away… you got it: 11/12/13!! It is my guess that someone will always think of a way to spin certain dates so that they appear ‘LUCKY’ or interesting or numerically fascinating. For most of us, the only luck was finding the right person to marry, the date being much less of a factor. Promise Rings – Passe or Perfect? As the engagement season approaches (also known as Christmas), I am reminded of another piece of jewelry symbolic of a committed relationship; the promise ring. A promise ring is a symbol of love and commitment made from one person to another while dating when the relationship turns more serious. Perhaps you are both in college and aren’t ready for a wedding just yet but, you fully intend to make that commitment when the time comes. You want to make a stronger statement than mere ‘dating’ and a promise ring is just the thing to do that. When you give or accept a promise ring, you are promising to love the recipient forever and to be faithful. Commonly, a promise ring is given before engagement. It can symbolize sort of a trial period before engagement and the ring is worn on the left hand until it is replaced by an engagement ring and then switched to the right hand. Promise rings are not just for women. The popularity of promise rings for men has risen in popularity in recent years. If he gives you a promise ring, it would nice touch to give him one in return to cement your promise to him as well. ‘s meaning. After all, you both need to commit to the promise or it has no meaning. Get him something manly, perhaps in titanium. Some promise rings have small diamonds, some have small gemstones but they don’t have to include a stone at all, some rings are simple bands with the promise engraved inside. In fact, there are many websites dedicated to romantic promise ring inscriptions, or you can choose your own sentiment. A favorite promise ring is the ‘Claddagh’. If worn on the left hand with the heart facing out, it signifies that you are spoken for. If worn with the heart facing in, people will assume you are already married. However, I doubt if the “Promise Ring” police will arrest you if you wear it either way. It is a traditional Irish band and many people have been known to use this in lieu of engagement ring or wedding band. Also highly sentimental, filled with Irish lore and has a variety of romantic legends associated with it… I consider that to be quite special in itself. Any way you look at it, the “promise ring’ is a sweet, sentimental gesture and one that should not be taken lightly. A long time ago in a galaxy far, far, away people used to read the newspaper every day. Then, along came home computers and now everyone communicates online. If you have been asleep for the past few years, the big thing in wedding announcements in 2012 is social media. 1) Tell closest family and friends first. this should be a phone call from both of you. Not a text, not an email. Think about who might get their feelings hurt by not hearing it first! After that, you will want to tell siblings, future attendants, cousins and other people close to you. You can do this solo and text is okay if you absolutely cannot get through to them on the phone and want them to know before they hear it from someone else. 2) Send out postcards or formal announcements. Traditionally these are only sent to people who will be invited to the wedding. But, in modern times there are ways to get your point across without being tacky. Check with your wedding consultant or stationer for appropriate wording. 3) As soon as you are ready, you can announce it on facebook, set up a website and begin the cadence to matrimony with a countdown calendar for all to see. It could be as simple as a relationship status change or as major as a shared video of the actual proposal…or anything in between. That part is up to you. 4) If you are socially connected to people who still prefer paper media, putting an announcement in the local paper is classy and timeless. You will want to start off finding out if they have any guidelines, deadlines, fees, or regulations. 5) Last, but not least you can host an engagement party and make the announcement to everyone there. Engagement parties have become more rare for several reasons; they are costly, time consuming and they are more a thing of the past. Of course they still proliferate in certain social circles where that kind of thing is (basically) required. No matter how you decide to do it, announcing your engagement is an exciting event. It will the first of many exciting events leading up to your wedding and one of the pinnacles of your own personal love story so, make sure you are both in total agreement before you say anything to anyone. You only have one chance to do this right…. make the most of it! 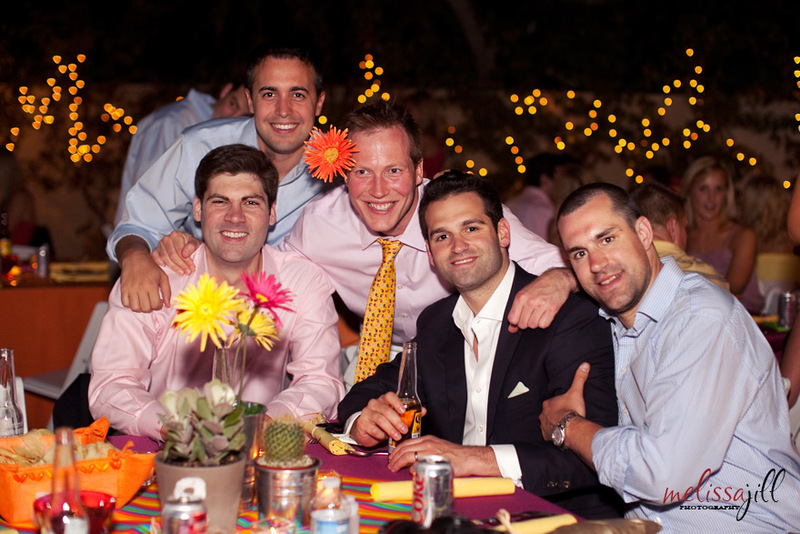 Rehearsal Dinner – Who’s In , Who’s Out? The rehearsal dinner is a pre-wedding ceremony in North American tradition, usually held after the wedding rehearsal and the night before the wedding ceremony. Who do you invite? According to tradition, only the immediate family and wedding party are invited to the rehearsal dinner. Basically, only the actual participants in the wedding. However, there are out of town attendants, their dates or spouses, out of town guests, extended family and all kinds of significant people you want to include in your pre-wedding event. So, where do you draw line to keep your rehearsal dinner from being as big as the wedding? If you want to have a less formal affair, plan a late afternoon supper, at a restaurant that is located close to where most of the out of town guests are staying and the wedding venue. To this event, you will invite only the wedding party and immediate family. After the early supper, you can invite others to join you for cocktails and mingling. Make sure to have a definite cut-off time to avoid accidental over-indulging. Come on, we all know there’s one in every crowd! Consider a fun, festive restaurant for the smaller crowd, complete with a patio for expanding the fun outdoors in the summer months. Some couples cut corners by having a larger party at a less expensive restaurant and others do the opposite; a smaller affair at a posh venue. The choice is up to you. The fact is that most out of town guests will not expect to be invited if they are not a member of the wedding party. Most out of town guests will be happy to spend the evening before your wedding getting much needed rest from their travel and perhaps even unwind. And they will not be upset or offended by a lack of invitation to the rehearsal dinner of any kind at any venue!